Explosion-proof asynchronous motors with the squirrel cage rotor are intended for work from network of three-phase alternating current, with a frequency of 50 Hz and 60 Hz for the drive of stationary machines, in explosive productions coal (AIU engines), to the chemical, gas, petroleum industry (AIM, AIMM engines). Are made for deliveries to the countries with moderated (with type of climatic modification of U2, U5) and tropical (with type of climatic modification of T2, T5) climate. Are calculated for work in the S1 mode, operation of engines in the S2, S3, S4 modes on one of standard tension from 220 V till 660 Century is allowed. 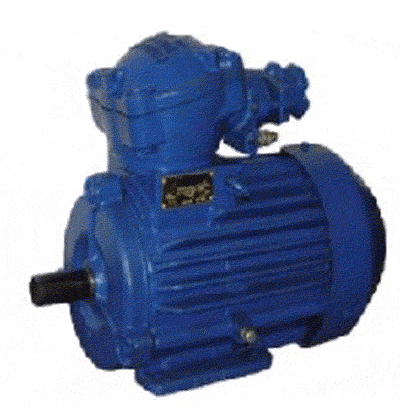 Unbelievable price on Electric motors of the AIMM, AIU series asynchronous explosion-proof for work from network of three-phase alternating current, with a frequency of 50 Hz and 60 Hz in Novaja kakhovka (Ukraine) company Novokahovskij Elektromehanicheskij Zavod, TPO. SDS-17-76-12UHL4, 3200 kW, 10 kV, 500ob/min. SDSZ-17-59-12UHL4, 3200 kW, 6 kV, 500ob/min. Electric motors of the SDM, SDV types for the drive of cement, raw mills and fans.